The most striking thing about Eliot Dean Baker’s songwriting is, for me, his brilliant way with developing melodies. Sweet Nothings is something of a melodically complex song – the verses meander through multiple notes, the passion in his vocal tone varies as the journey progresses, and all the while the emotional essence of the song sinks in further with the warm, familiar glow of the soundscape. 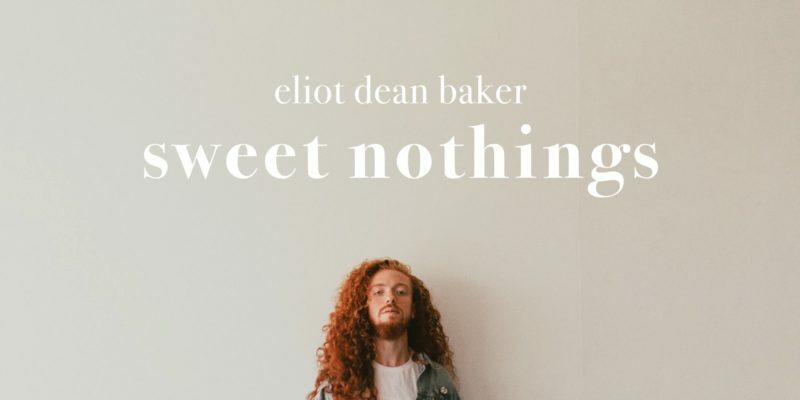 Sweet Nothings is a song that feels like a pop-rock ballad in some ways – in others though, it feels a little more firmly rooted in RnB or even soul music. When you break it down, you can hear the guitar work – the acoustic and the electric guitars light up the outer edges. Soon after, a thick and heavy drum line appears – not fast-paced or intense, but passionately dramatic in all the right ways; adding a level of movement that again fuses a few unexpected genres together. By all accounts though, even with all of this, it is Baker’s voice that drives things – this is what holds tight to your attention as the song evolves. Baker’s voice, and indeed the additional vocal snippets that accompany it, brings listeners a sense of vulnerability and confidence intertwined. It’s as if there’s absolute adoration at work – alongside of a sheer need to create music and express the feeling through art. The latter half of the song underlines this to a great extent. It’s uplifting to listen to, and it feels very genuine. The second and third times you hear this it seals the deal – the soundscape, the riffs, the melody; everything works in unison to make the song incredibly enjoyable and recognisable. Baker has something of an Alanis Morissette style of melodic development, but again that RnB smoothness runs throughout, and all the while the subject matter is hopeful and beautiful. The sound is his right now, and well deserved. Hopefully there’s a longer project on the way. Find & follow Eliot Dean Baker on Facebook & Instagram. Visit his Website for more information. 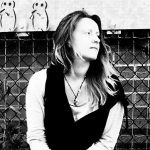 Musician & writer with an MA in Songwriting.